It is "meekness, humility, patience in suffering, love for justice, ability to endure persecutions, not to judge others ...". The "accusatory style", the "mundane style" and the "egoistic style" are non-Christian. 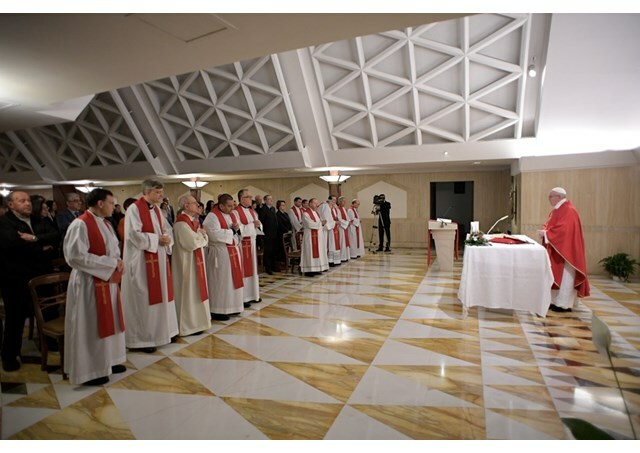 Vatican City (AsiaNews) - The Gospel, the Word of the Lord, is the "new wine" that has been gifted us, but to be good Christians we need a "new behavior", a "new style" that is truly the "Christian style", and this style is indicated by the Beatitudes. This is the meaning of the "key word" that concludes today's reading from the Gospel of Mark: "New wine in new wineskins". Pope Francis made this the theme of his homily at Mass, Monday morning, at the Vatican's Casa Santa Marta. According to the Pope, we can learn about the Christian style. In this regard, he points to 3 of them: the "accusatory style", the "worldly style" and the "selfish style": By accusing others, disqualifying others, acting as absent promoters of justice. They are always accusing others. This was the same in the time of Jesus in a few cases reproached the accusers: "You look at the beam in yours"; or again: "Those who have not sinned can throw the first stone". "By Christian", not new wineskin. Speaking about worldliness, Pope Francis calls it an attitude of Catholics who can "recite the Creed", but live on "vanity, pride and attachment to money". You did not change the wineskin, you did not change yourself. 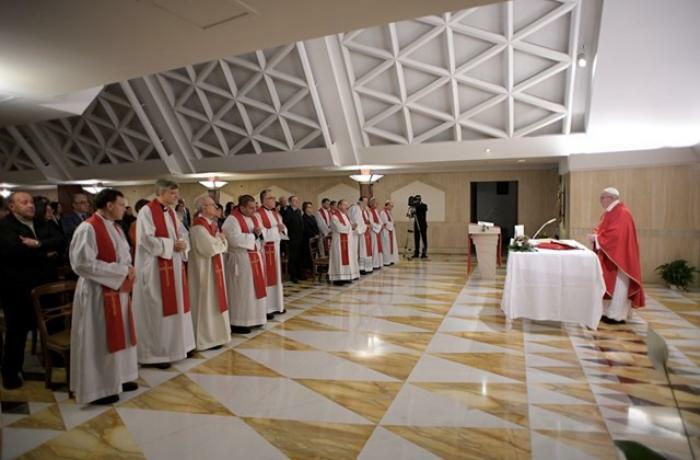 This worldliness is what I know is so much ... the Pope says. Commenting on the third un-Christian style, the Pope says it is the selfish spirit, the spirit of indifference that is common in our communities. Others - wars, illnesses and the suffering of our neighbors. This, the Pope says, is the hypocrisy that Jesus reproached the doctors of the law for. What then is the Christian style? According to the Pope, meekness, humility, patience in suffering, love for justice, ability to endure persecution, not judging others ... to fall into this accusatory style, the worldly style and the selfish style, he / she must read the Beatitudes. They are the wineskins, the path we must take. To be a good Christian One must have the ability to recite the Creed with the heart. Pope: There are many Christians who are "mummified" or "vagabond" or "stubborn" or, finally, "halfway"